I started to play drums when I was 15 years old. Some would say I was a bit late, others would say that is young. There weren’t any internet-based lessons at the time. It was all books and VHS tapes back then. (VHS stands for “Video Home System”, kids!). That’s it. As a young player, I was hungry for information so I’d get my hands onto everything I could. I bought Under The Table And Drumming by Carter Beauford, my all-time favourite drummer. I got Groove-A-Diddles with Jeff Salem and wore out a Larry Londin Benefit Concert tape where Dom Famularo was the host. My parents would let me stay up as late as I wanted, so I always tuned into the opening track on the Dave Letterman show and was mesmerized by Anton Fig’s playing. This is around the time I discovered a publisher called Hudson Music. I learned that they had been around for many years, previously running under the name DCI Music Video. 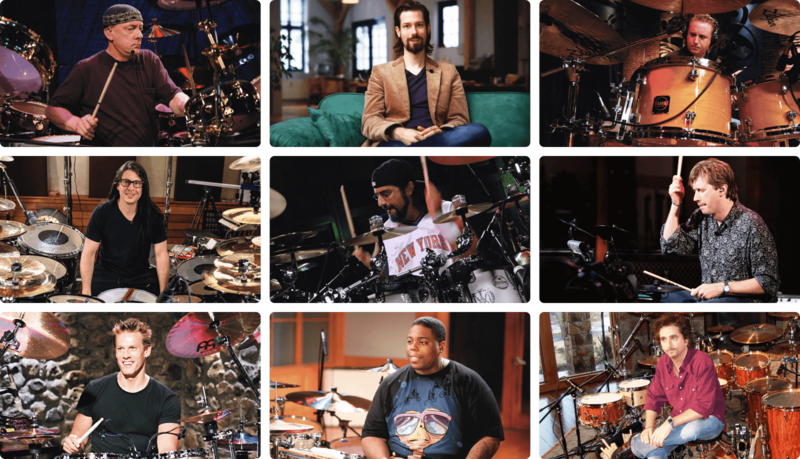 They worked with some amazing players and this is where I discovered Thomas Lang (Creative Control, Creative Coordination), Benny Greb (The Language of Drumming), Neil Peart (Anatomy Of A Drum Solo), and so many other great players. I bought almost every DVD and was sooooooo extremely happy that I didn’t have to rewind VHS tapes anymore. Haha! The production value was incredible and I finally had something to watch for both education and inspiration. And here’s the thing: drummers around the world wouldn’t be nearly as skilled today if we hadn’t been so incredibly inspired by this type of media. 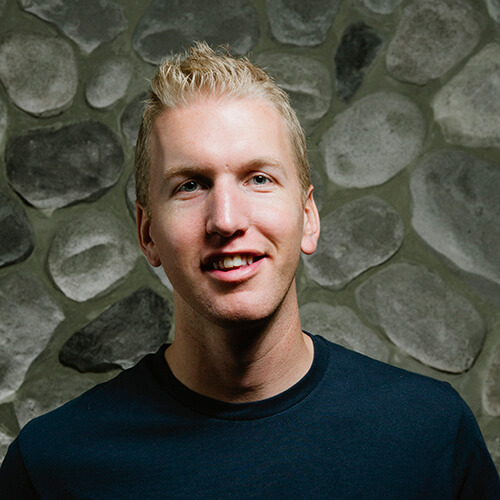 When I first met Rob Wallis from Hudson Music in 2013, I was super nervous. Drumeo was still a young company finding its way — and this was one of the godfathers of drum education. He even wore shaded glasses and talked in a thick New York accent. As drummers… no, as a human, it’s important to be selective on the media you choose to consume. And you do have a choice. 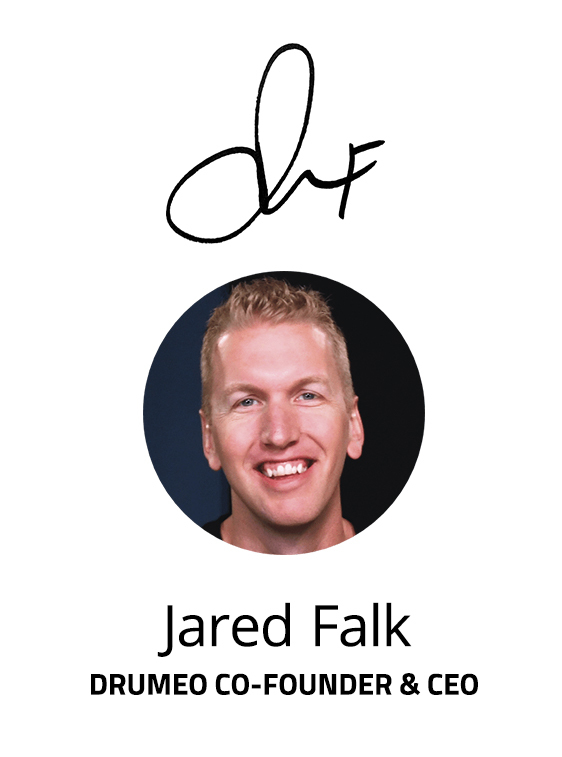 Today, we have Facebook, Instagram, Snapchat, YouTube, and so many other platforms that are competing for our attention with clever algorithms to predict what will grab our attention and keep us on their platforms longer. But sometimes, the media that grabs your attention the best isn’t the media that deserves your attention the most. I’m not complaining here, but we all need to be careful. You’ve heard the saying “you are what you eat”. I think it’s equally true that “you become what you consume” when it comes to media. It’s important to choose media that has a positive impact on your life: inspiring your mind, impacting your skills and interests, and ultimately aligning with who you want to be. As the CEO of Musora Media, Inc. (Drumeo, Guitareo, Pianote, Recordeo), I try to make responsible decisions when choosing what to film, who to partner with, and how to have a positive impact on this amazing community of musicians. 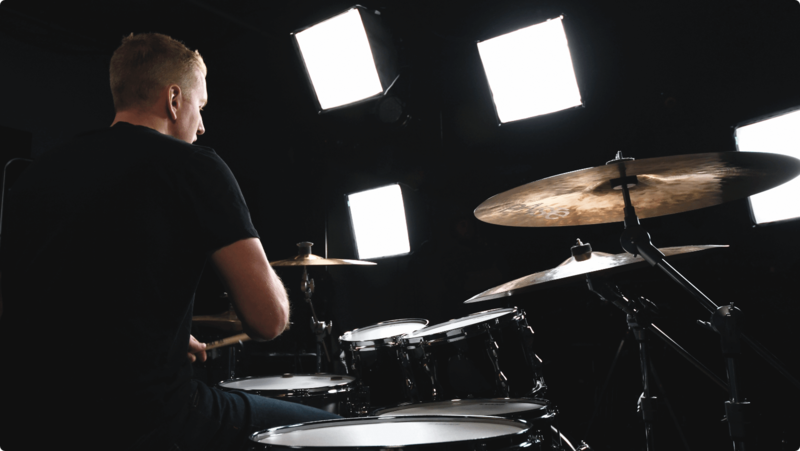 This week we announced our partnership with Hudson Music and released eight best-selling Hudson Music titles inside Drumeo, where our students can purchase them individually or choose to bundle a few of them with a Drumeo Edge membership. I was just browsing around the Drumeo members-area and I’m watching Thomas Lang shred in his Creative Control lessons. And this is all legal? Haha! 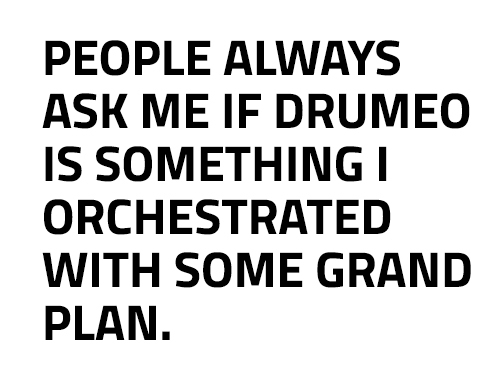 People always ask me if Drumeo is something I orchestrated with some grand plan. The answer is: no. 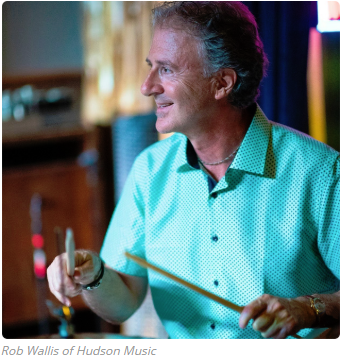 Although I’m a student of the business world and make strategic decisions, I don’t think I could’ve ever planned for this years ago — having the good fortune of connecting with Rob and creating a partnership with Hudson Music to make more of your favorite drum lessons accessible in new ways, and to more drummers around the world. Seriously. Don’t pinch me… punch me in the face! I need to know if this is for real. At Drumeo, we’re going to continue to search for new ways to reach our mission of educating every single drummer in the world, regardless of age, location, or skill level. And to YOU — the student, reader, drummer, hobbyist, professional, man, woman, or child: THANK YOU. I always say that without students, there would be no need for Drumeo to exist.